As you may know, one of my passions is photography. And in this week’s show we get to look at a couple of very different cameras. 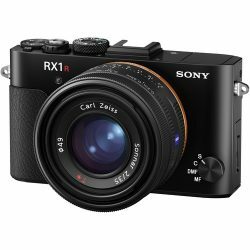 On the one hand, Sony’s RX1R II is a professional grade camera, almost in the DSLR mould, but in the form of a very solid feeling fixed lens compact style camera, albeit with 42 megapixels of digital resolution from a full frame 35mm sensor. Performing a very different role is the Navman MiVUE 698 dashboard camera. This is a small crashcam that attaches to your car’s windshields (yes, front and back) and records events occurring both in front of and behind you, to help you to gather evidence should an unfortunate event – like an accident – occur. As well as the normal dashcam facilities, this one also offers features like warnings if you are leaving your lane, or if you are driving to closely to the vehicle in front of you. It’s all in today’s show, which you can listen to right here.